Mary is one of the founders and project directors of the environmental mission Project Kaisei. She is also founder and CEO of Ocean Voyages, Inc, an international yacht chartering company which offers trips on sailing vessels and luxury yachts worldwide. 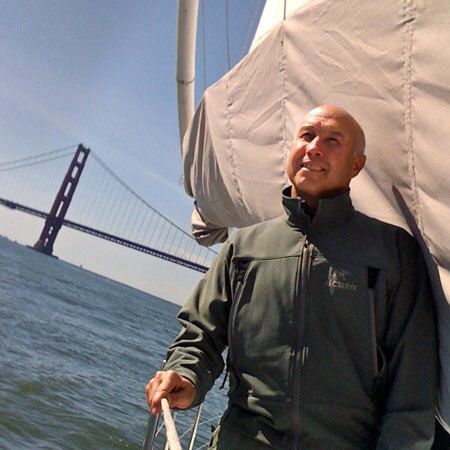 George also sits on the board of the Farallones Marine Sanctuary Association, is the former Surfboard Design Editor of Surfer Magazine, and authored the standard reference on surfboard design, “Essential Surfing.” George’s network encompasses the ocean, environment, technology and diplomacy, with a focus on solutions. Director of the E-Cubed Institute which is dedicated to helping develop integrated solutions for a sustainable economy. E-Cubed refers to the “triple bottom-line” goal of addressing economic, energy/environment and equity challenges. John Azzaro has lived history in his four decades in communications and knowledge transfer, a span that includes working in advertising during the height of its persuasive power and in the music industry during one of its most interesting periods. An accomplished film maker with three feature films to his credit Pete has been on the cutting edge of digital technology doing the first commercial project on a NASA Satellite as well as Producing and Directing the first live all digital Music concert. Edward Kosior has been involved in Plastics and Rubber technology for the past 30 years. In 2004 he established NEXTEK Pty Ltd to provide new technical solutions to the environmental and recycling challenges facing the polymer industry. Dr. Earle is probably the most renowned person in the world of ocean preservation and exploration. In 1979, Sylvia Earle walked untethered on the sea floor at a lower depth than any living human being before or since. In the so-called Jim suit, a pressurized one-atmosphere garment, she was carried by a submersible down to the depth of 1,250 feet below the ocean’s surface off of the island of Oahu. Scripps Institution of Oceanography, at University of California, San Diego, is one of the oldest, largest and most important centers for global science research and education in the world. The National Research Council has ranked Scripps first in faculty quality among oceanography programs nationwide. Russell founded Bluewater Network, a national environmental organization which merged with Friends of the Earth in 2005. Bluewater has helped establish laws and regulations to reduce greenhouse gas emissions from passenger cars, reduce air and water pollution from the shipping industry, and curtail thrillcraft use on public lands. Massara gained a reputation in the surfing and environmental communities when, as counsel for Surfrider in 1991, he won a lawsuit against two pulp-mill companies near Eureka, California that were dumping 40 million gallons of toxic effluents per day into the ocean. Prior to founding Impact, Mr. Dell was a partner with Crosspoint Venture Partners in Northern California and a senior associate with Enterprise Partners in Southern California. Prior to becoming a venture capitalist, Mr. Dell worked as a corporate attorney in Austin, Texas, with the law firm of Winstead, Sechrest & Minick. Ms. Sheavly is an international marine debris expert with over 15 years working with the United Nations Environment Programme’s Regional Seas and Wider Caribbean Region and other organizations. Formally the director of pollution prevention for the Ocean Conservancy, she is their technical advisor for marine debris. Mr Eichenberg is an adjunct professor of law at the Vermont Law School, where he teaches Ocean and Coastal Law. He is a graduate of Earlham College and the Washington University School of Law, and was post-doctoral fellow in Marine Policy at the Woods Hole Oceanographic Institution. Andrea is an avid ocean enthusiast, and self proclaimed surf and SCUBA addict. Andrea has a PhD in Molecular Genetics and Lipid Biochemistry from the Swedish Life Sciences University and a B.S. in Horticulture Science from Purdue University. 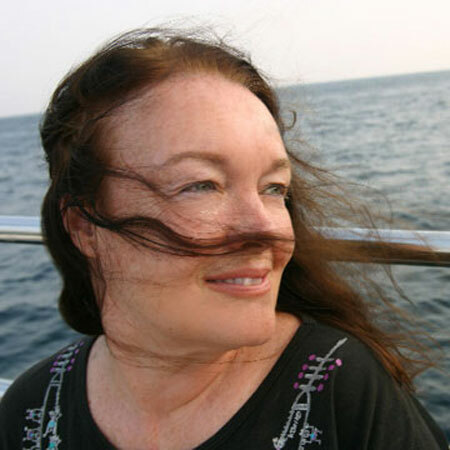 She has 10 years of experience in the scientific community including projects ranging from bio-fuel development, nano-toxicity studies, and educational outreach about environmental toxins with Jean-Michel Cousteau’s Ocean Futures Society. 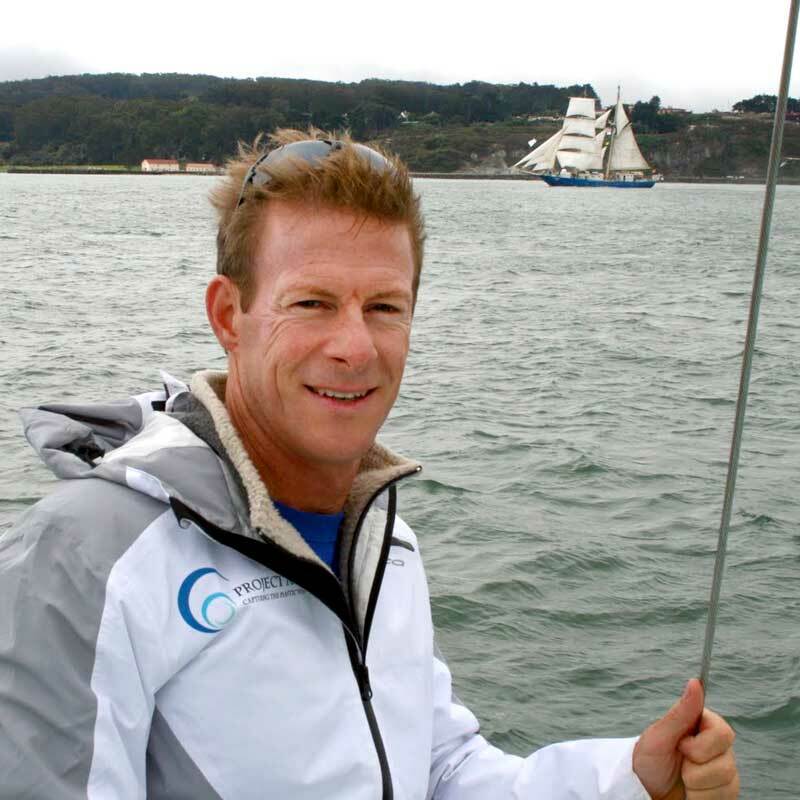 Michael Gonsior, is a scientific ocean explorer who has traveled the world looking at dissolved organic matter (DOM) marine cycling systems. He is a post doc at UC Irvine in the department of water resources working with William Cooper. He has two masters degrees from Friedrich Schiller University in Environmental Chemistry, and TU Dresden in Environmental Protection Engineering. He has a Ph.D. from Otago University in Marine and Aquatic Chemistry. Heather is an enthusiastic marine explorer and avid SCUBA diver. Heather is finishing her Ph.D. in Marine Ecology and Environmental Science. She also has a M.A. in Environmental Economics and B.S. in Marine Biology, as well as Oceanographic, Atmospheric and Environmental Science. Heather is trained in marine and estuarine ecology, as well as related oceanographic processes. Nicole Argyropoulos is a fervent swimmer and adventure travel and outdoor devotee. She has worked for distinguished think tanks and non-profit organizations; such as The Rocky Mountain Institute, The Clinton Climate Initiative and Jean-Michel’s Cousteau’s Ocean Futures Society.With over eight years of environmental education and expedition experience, Nicole joins us as our education outreach coordinator and GIS specialist. She has a Bachelor’s of Science from the University of Colorado at Boulder in Geography. Margy is a research scientist for the California Environmental Protection Agency at the Office of Environmental Health Hazard Assessment, in Oakland, California. She evaluates chemical contamination of fish and potential health risks for fish consumers. She received a Ph.D. in biology from the University of California at Berkeley. Her dissertation research was on behavioral ecology of crustaceans in Hawaii. Barbara has a Master’s Degree in Geology and a PhD in Earth Science, and she is presently collaborating as researcher at the Earth Science Department at the University of Florence (Italy). She is a micropaleontologist with also expertise in the living coccolithophore and diatom groups. Her studies attempt to determine the relationship of living assemblages to their environment. She analyzes coccolithophore fossils (that are called coccoliths) in deep ocean sediment samples to trace changes in the surface circulation of the past. David is an Assistant Professor of Chemistry at the University of Victoria, BC. There the focus of his research group is to understand complex dynamic phenomena in novel materials. Prior to that he was a postdoctoral fellow in the Physics Department at UC Santa Barbara where he developed electron microscopy techniques to study polymers and investigated the fate and transport of nanoscale pollutants in collaboration with scientists from Environmental Science and Chemistry departments. Professor of Civil and Environmental Engineering and Director of the Urban Water Research Center. His research interests have included analytical chemistry of chlorine residuals, disinfection byproducts and trace organics analysis. More recently, Cooper has focused on carbon cycling in coastal oceans and the application of free radical chemistry in advanced oxidation processes (AOPs). Professor of Biogeochemistry at the Bren School at UCSB. He holds a joint appointment in Mechanical and Environmental Engineering at UCSB. His research and teaching interests focus on water quality management and the fate and transport of pollutants in the environment. He is the Associate Director of the new NSF/USEPA funded UC Center for the Environmental Implications of Nanotechnology. 45 years experience in the aerospace industry working with electronics and avionics systems, including, government and commercial contracts. Gordon has a PhD in electrical engineering from the University of Wyoming. His areas of expertise include: avionics, displays, automatic flight control systems, dynamics, systems, communications, software management, requirements analysis, certification processes, marketing, implementing, and managing large projects.